Peter Thomas has some explaining to do. 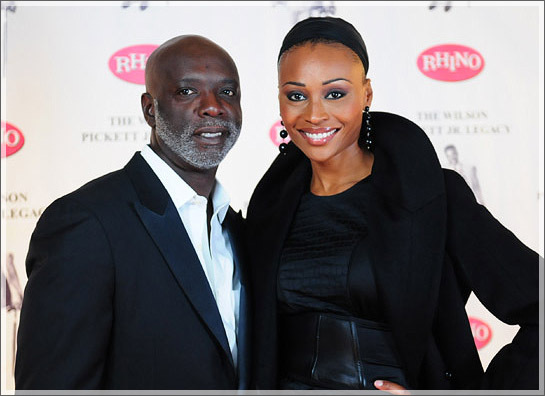 The “Real Housewives of Atlanta” star and husband of Cynthia Bailey was caught getting a little too close to an unidentified woman while in the club. A video of the encounter was posted to The Shade Room’s Instagram page on Monday which showed Thomas speaking to the woman with his hand on her neck and chest. And as you might expect, the people are talking. “Papa smurf tryna share his smurf berries lmaoo. He’s so caught,” wrote one commenter. It’ll be difficult for Thomas to talk his way out of this one, but we’re willing to bet he’ll try. Janet Jackson Posts Pictures Of Baby Eissa And He Is A Cutie! !